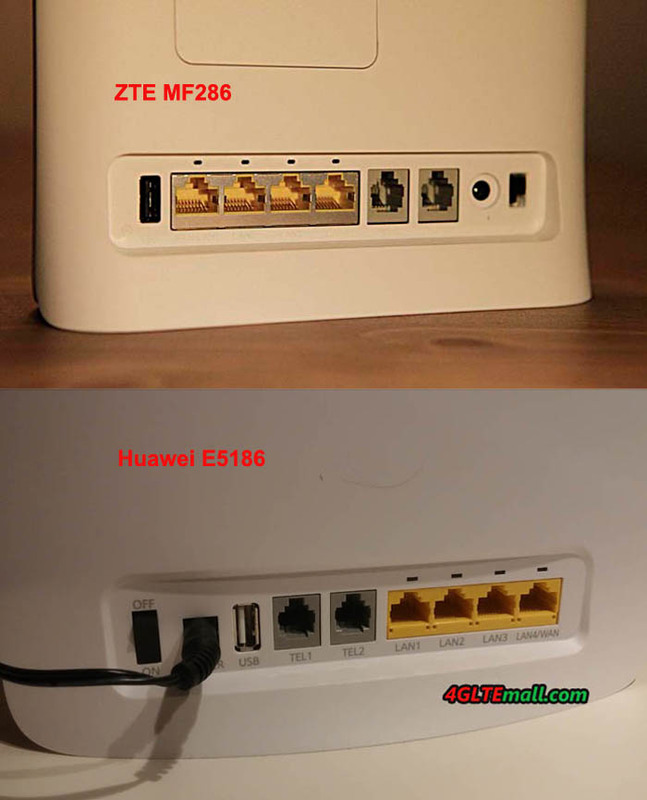 ZTE MF286 and Huawei E5186 4G Router both could support the IEEE 802.11a/b/g/n/ac with dual bands (2.4GHz and 5GHz). 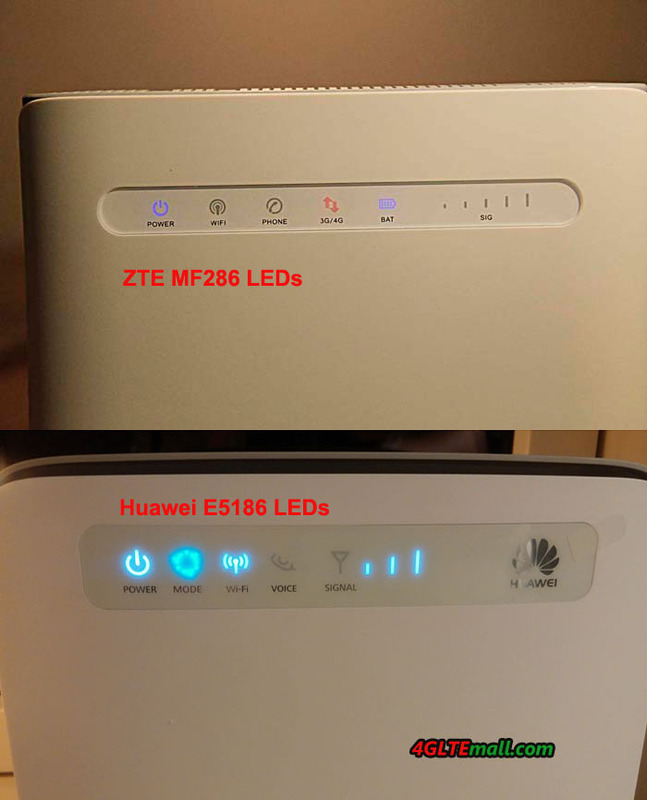 Up to 64 devices could connect to the MF286 and E5186 LTE CPE respectively. 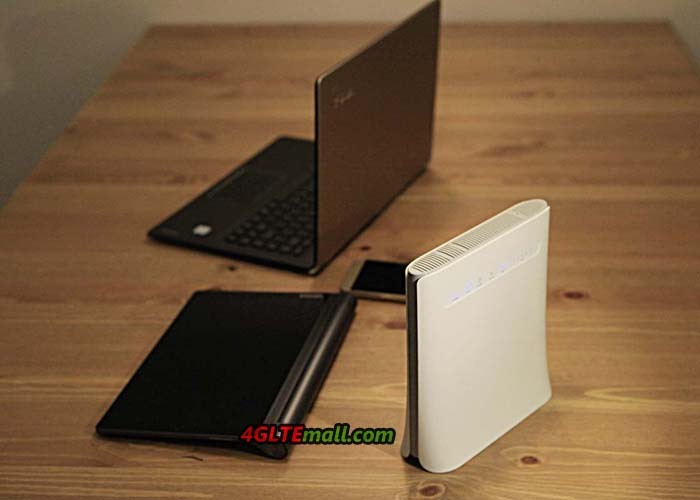 And they both support VoLTE function, which is required and practical on the LTE Advanced network. 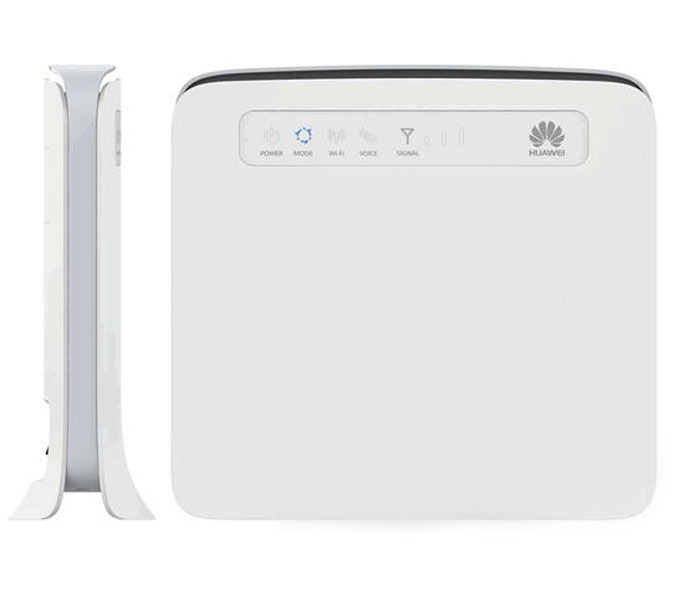 The management of the two routers can be done via the web UI. Users can do personal settings for Ethernet, WLAN, VoIP, Security, Port Forwarding, MAC/LAN IP filter, DHCP, DMZ, SIP ALG, UPnP, NAT settings etc in web UI.